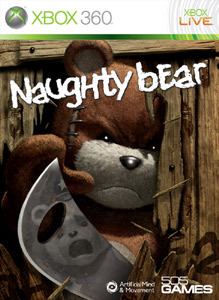 Can't Get enough of Naughty Bear? Artificial Mind & Movement have just released a free episode for Naughty Bear. Check it out! "When Naughty Bear receives an invitation from the other bears to appear as guest of honour at a magnificent Cake Tasting Party, Naughty thinks it is finally a chance to make friends with the other bears. Will Naughty Bear finally make friends with the residents on Perfection Island – or is this much more likely a devious plot to trap him?"